JNTUH MBA/MCA All Semesters (R17,R15,R13) Exam RC/RV Results Dec 2018, jntu hyderabad mba and mca all semesters Recounting / Revaluation Results December 2018. 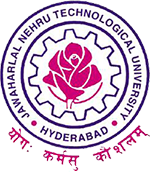 JNTU Hyderabad has announced MBA / MCA All Semesters R17, R15, R13 Examinations Recounting / Revaluation Results December 2018. Sir in our college 40 member have same subject of back log MBA 4th Sem SIFD we all are payed for revaluation fee of 1000 Rs but only one person was cleared the subject remaining all are no change in subject why no change. I want to know that weather paper was revaluated or not. Hello sir …..I am M pharm student ….,… When will be m pharmacy revaluation results come?? ?